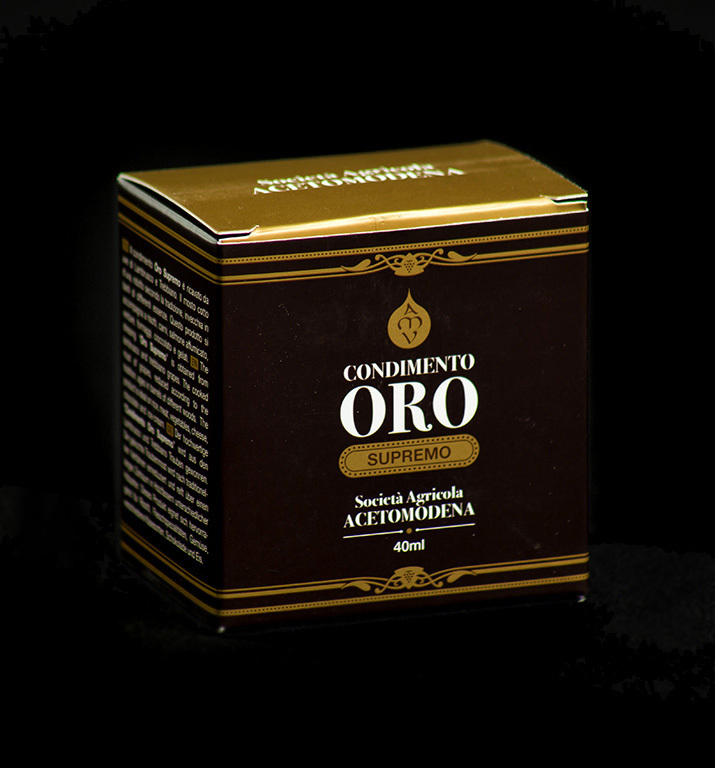 Condimento Oro Supremo is Acetomodena’s proprietary balsamic vinegar. It contains 100% cooked grape must (no caramel coloring here!) aged for 6 years. The resulting product has an intense aroma and a dense, velvety texture, while maintaining a lightness and versatility. 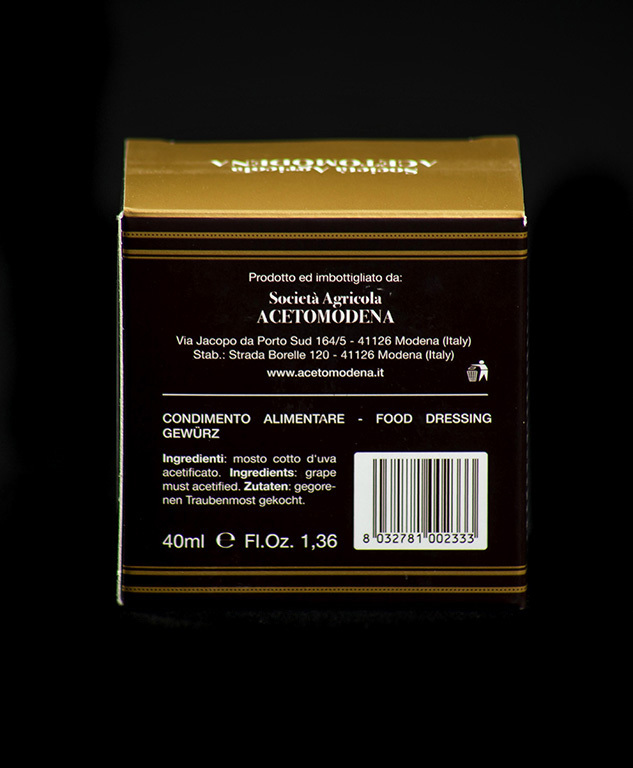 Although the same barrel process is used with traditional balsamics, it is not classified under Italian law. So, legally, it is a condiment. 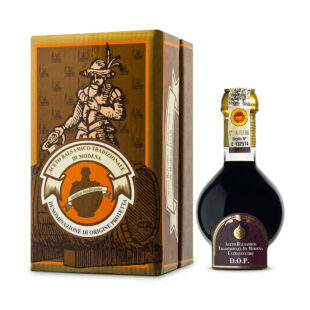 You may know that balsamic vinegar of Modena only permits two ingredients by law: cooked grape must and wine vinegar. What you may not know is that many so-called balsamic products seen on shelves in the US contain up to 90% wine vinegar, producing a watery body with a sharply acidic taste. Sometimes they even have caramel coloring to provide color because it is so thin! 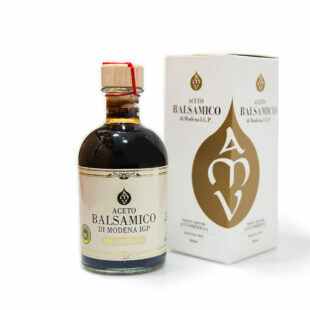 Our balsamics from the Vecchi family and Acetomodena are completely different. 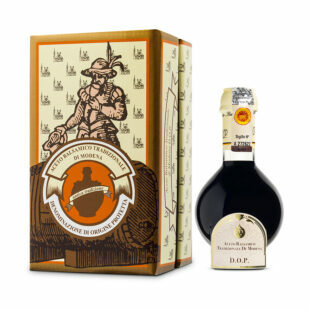 This gorgeous petite bottle is the perfect affordable gift for the balsamic aficionado. Happily, condimento oro delivers the taste of a traditional, aged balsamic without the price. 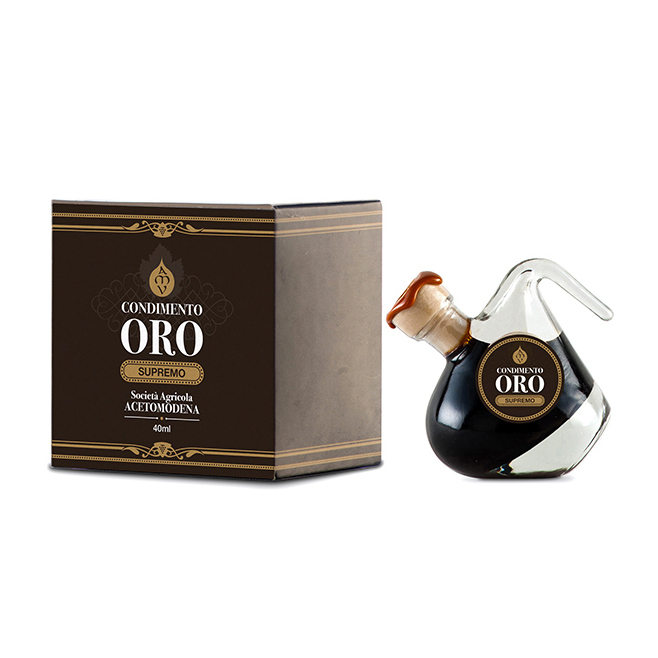 This balsamic is intensely rich, concentrated, and sweet. Thus, it is ideal for drizzling on desserts, berries, aged Italian or Spanish cheeses or cooked meats. A little of this precious liquid gold goes a very long way. Read more about Acetomodena on our blog!